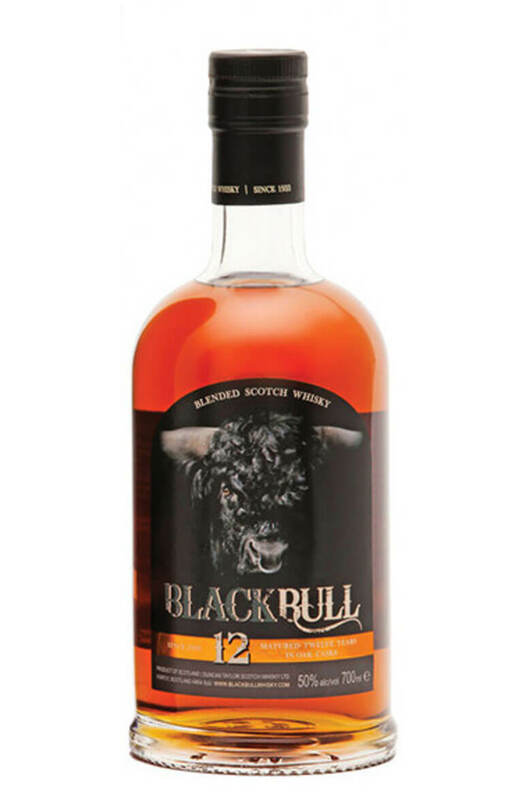 Black Bull is a high quality blended whisky which is comprised roughly of a 50/50 mix of malt and grain whiskies. It is rich and fruity in character with touches of roasted nuts and vanilla cream. Nose Robust, chunky aromas of sherry, red fruits, cherries and toffee with a suggestion of vanilla and lemon sherbert. Palate Creamy chocolate, fruit and honey with apple and an expressive nuttiness. Finish Buttery toffee, long lasting, coordinated, silky. Composition 50% Malt Whisky and 50% Grain Whisky. Any Additional Information of Note Un-coloured, non-chillfiltered.